After 7 days Pepper opens his eyes. After 2 months Pepper can leave his mother and come home with Lisa and Joey. After 3 months he needs a checkup at the vet's. 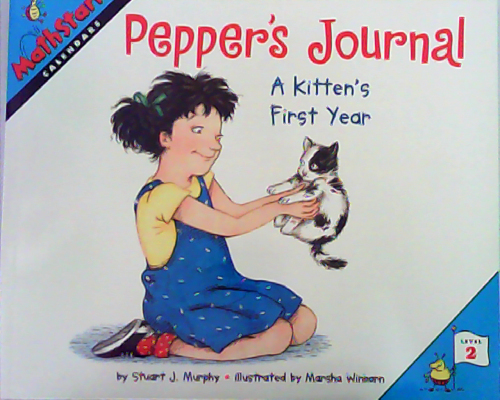 In her journal Lisa writes down all the important events of Pepper's first year - and readers will learn all about days, weeks, months, and years as they find out just how much fun a new kitten can be. Together, Stuart J. Murphy and Marsha Winborn introduce the concept of calendar time and show all the fun and important things to do in a kitten's first year.